The Sapporo II Rucksack from Vaude is optimal for business travel. 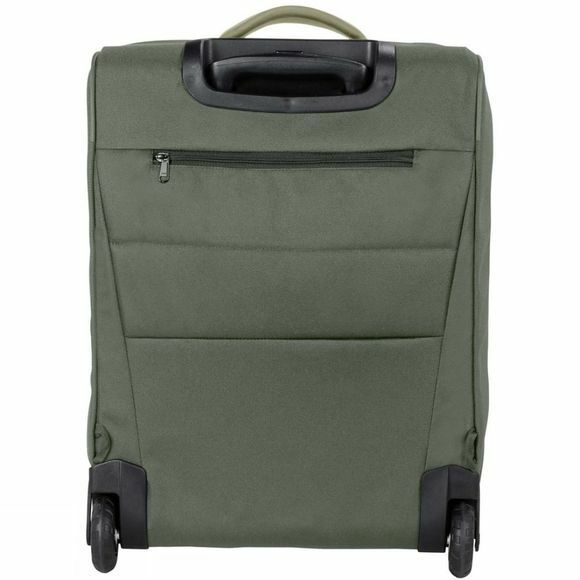 The Sapporo II with 35 liters carrying capacity is a practical, cleverly designed travel partner in a carry-on size that's sure to keep stress levels down with its well-organized compartments. A spacious main compartment with interior straps safely secures your travel gear; a front compartment with organizer is dedicated to your writing materials. A padded notebook compartment and a specialized tablet sleeve provides easy access on the go. 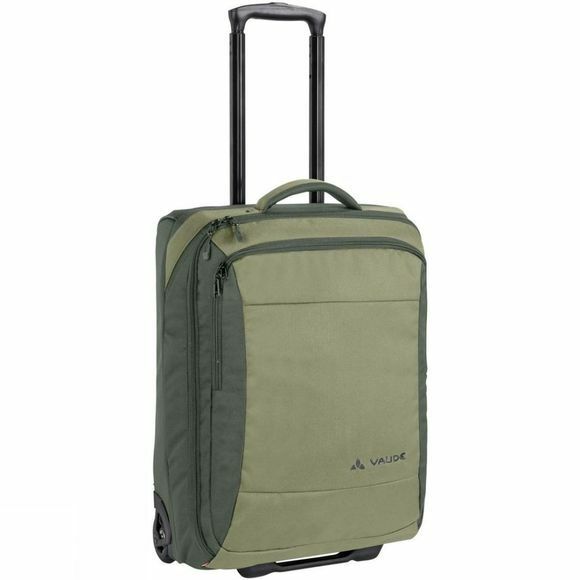 The extension handle, easy-roll wheels and extra soft handles keep things comfortable along the way, and when there are stairs or uneven terrain to overcome, just whip out the softly padded shoulder straps and carry it like a backpack. When you're done – they’re just as easy to stow away. The water repellent primary materials certified in accordance with the bluesignsystem standard keep things dry while the extra reinforced floor ensures even more protection. The VaudeGreen Shape label stands for environmentally friendly, functional products made from sustainable materials.